Short Dated: 11/2017. A sample size to trial, perfect for holidays or as a stocking filler. Rose water, rose petal extracts and rose essential oil are expertly blended in this exquisite bath essence to give a beautiful natural aroma. Add this to your bath and allow the velvety warmth of the water to envelope you in its soothing, nurturing scent. 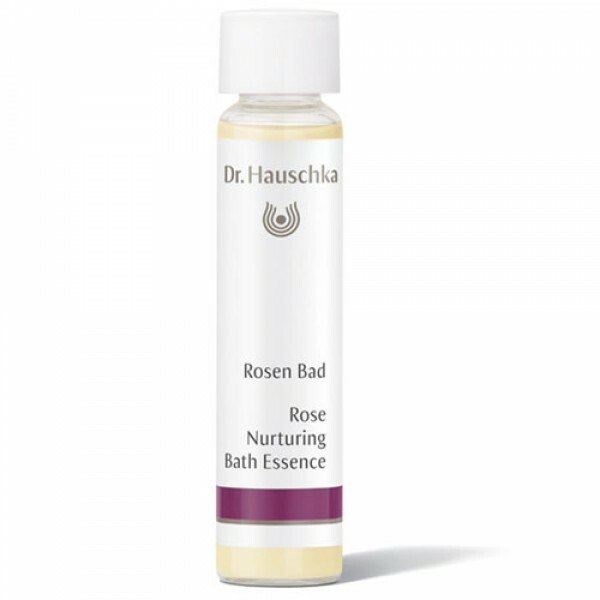 Rose essential oil, rose petal extract and rose flower water soothe dry and sensitive skin. Almond and jojoba oil leave skin feeling silky smooth. Did you want to buy the Full Size 100ml Bottle? Aqua, Rosa Damascena Flower Water, Rosa Damascena Flower Extract, Prunus Amygdalus Dulcis Oil, Glycerin, Alcohol, Persea Gratissima Oil, Parfum*, Rosa Damascena Flower Oil, Citronellol*, Simmondsia Chinensis Seed Oil, Glyceryl Oleate, Lysolecithin, Limonene*, Geraniol*, Linalool*, Benzyl Alcohol*, Citral*, Eugenol*, Farnesol*, Xanthan Gum, Bentonite, Coco-Glucoside, Lecithin, Chondrus Crispus Extract. *component of natural essential oils. *purely from essential oils and plant extracts - does not contain synthetic fragrance. 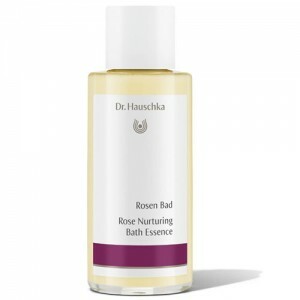 Add several capfuls of Rose Nurturing Bath Essence into the stream of running water as the bathtub fills. Keep the bathroom door closed and envelope yourself in the gentle aroma. Relax and breathe in deeply! Perfect after a long day.